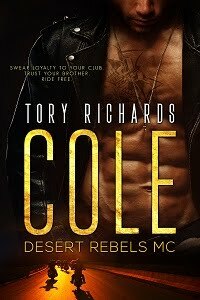 TORY RICHARDS: Bishop's Angel Release Day! July 15th marks the release of my 20th ebook, Bishop’s Angel. When my first book became published in 2005 I never dreamed that I would reach this milestone. I don’t believe it’s a goal any writer sets, as who knows what life will bring, or what kind of distractions get in the way. During the years that followed 2005 I’ve had a best seller, attended the 2009 Romantic Times Book Lovers Convention, bought and sold several homes, traveled to Europe, experienced the joy of becoming a grandmother twice, lost my mom and soul mate, retired from Disney, and moved in with my daughter and her family. In celebration, from 7/14-7/16 ONLY, get a free copy! Details on how are below. I can't wait to read the whole book! Thank you. I love your books! This book looks great. Can't wait to read it! I signed up for your newsletter and liked your FB page. Can't wait to read the story! Congrats on #20 and in only 8 years. This book sounds fantastic. Can't wait to read it. Thanks for the great post and excerpt. I aleady get the newsletter and liked your FB page. It's my pleasure to give you all a copy of my newest release. Thank you for joining my facebook fan page, and signing up for my newsletter. Please give me a couple days after the 16th to compile everyone's email addys into a message. Congratulations on your 20th release.